UNLOCKED PROTRADER: Retrospective: GP Richmo…er, Charlotte. Whatever. Every week for over a month, I’ve sat down to write my article, and while I had various ideas of what to cover (read: actually no ideas), I keep coming back around to Modern, as there’s been something both timely and worth discussing every time. First it was the Modern Masters 2015 release and all that entailed, then last week it was looking into whether the set was bottoming out, and now this week it’s important we talk about the frenzy of activity leading up to Grand Prix Charlotte, and where things will go from here. If you’re sick of Modern cards, I apologize, but that’s simply where the money is this season. 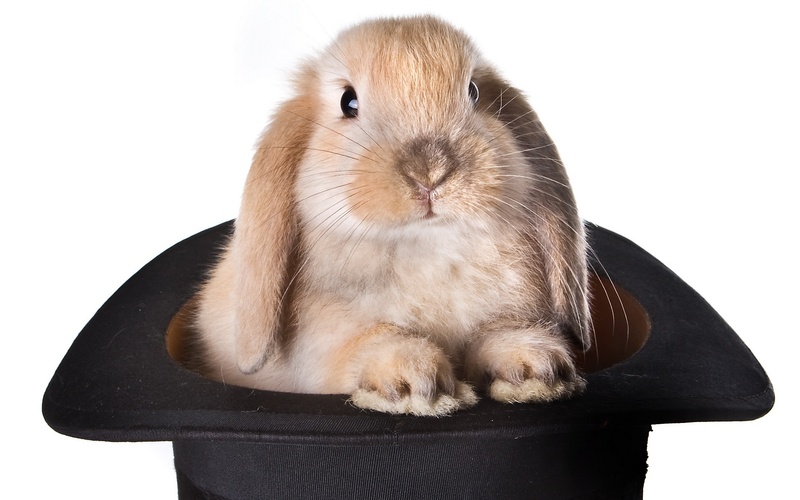 Don’t worry, it won’t be long before we’re in the two-month stretch where no card sees more than a five-percent change in value and I start submitting articles that are about the type of magic that involves top hats and rabbits. 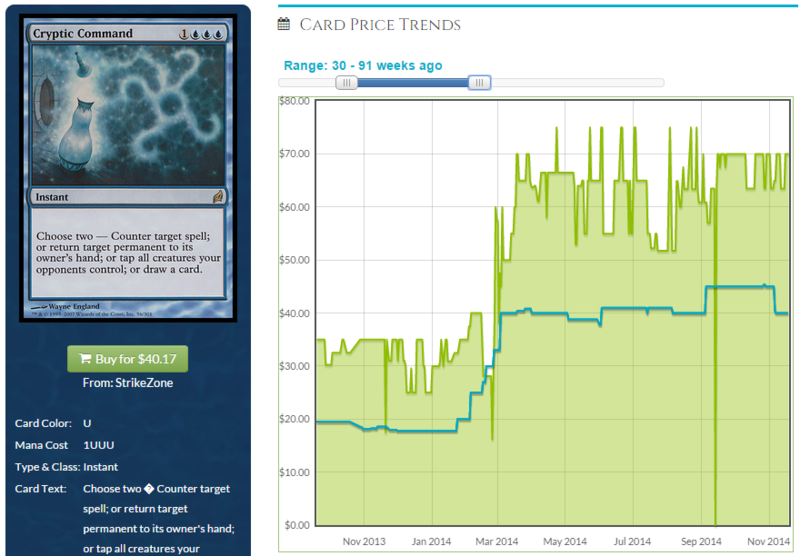 While it didn’t manage to top eight, Jund led the pack on price spikes. It started with Olivia Voldaren, which climbed from around $5 to a price tag of nearly $15 at time of writing. Huntmaster of the Fells was next, with similar behavior. What’s most notable about these two is that Olivia was typically a one- or two-of at most, and Huntmaster doesn’t even make it into all lists. When these spikes were just beginning and word was spreading on Twitter, I began wondering if we were entering a frenzy. When cards that see minor play in a single format are selling out, it means the market is extremely bullish. It’s happened once or twice in Modern before, most recently last year ahead of another major Modern Grand Prix: Richmond. More on that later. Jund didn’t just affect Olivia and Huntmaster, though. We saw Blackcleave Cliffs double to $10 and Raging Ravine triple to $10. Abrupt Decay gained a few percentage points. MPR copies of Terminate have risen considerably. Inquisition of Kozilek doubled to $15. 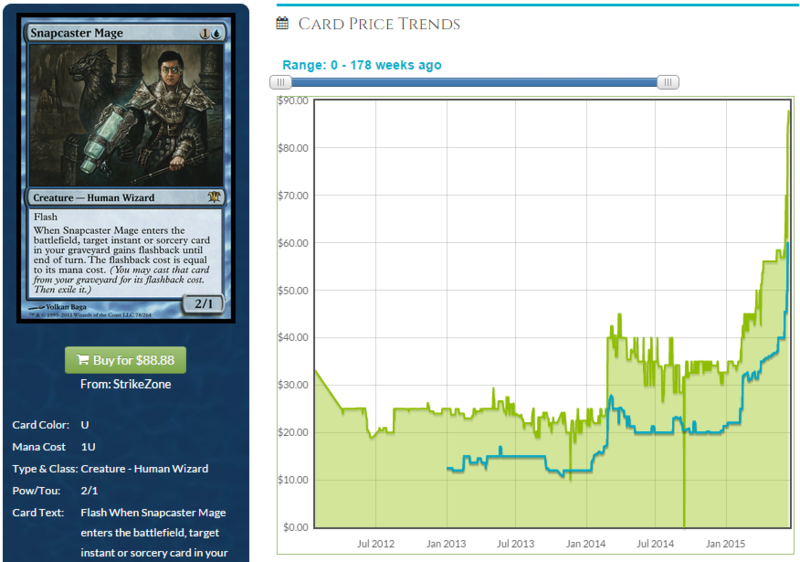 Despite a Modern Masters 2015 reprint, Fulminator Mage has stopped falling in price entirely, and is in fact climbing. The Goryo’s Vengeance deck has been responsible for quite a few spikes itself. After making top eight, the eponymous card rapidly climbed to $25. Nourishing Shoal, an obscure Kamigawa card that is undoubtedly sitting in bulk bins everywhere, is still trying to find a steady price in the $10 region, up from pennies. As I write this, Through the Breach hasn’t sold out yet, but I can’t find a copy at a single internet dealer, and there are only a handful on TCGPlayer. If it still hasn’t spiked by the time this goes live, I’m guessing someone will buy the last ten copies on the internet. I could list card spikes for another five or six paragraphs. Deceiver Exarch, Disrupting Shoal, Ezuri, Renegade Leader, Oblivion Stone, Kitchen Finks… frankly, I don’t want to link them all. Just go look at the largest gains over the two weeks and you’ll see everything that’s doing well. A rising tide lifts all boats, and in the world of Magic, coastal towns are building levees as fast as possible. How about what hasn’t spiked? The list is a lot shorter than it was two weeks ago, that’s for sure. 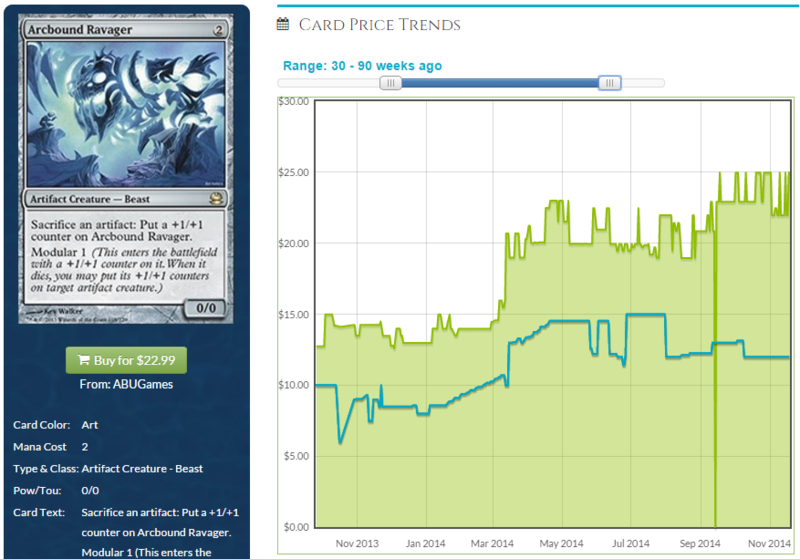 I mentioned before that Heritage Druid has a jaw-dropping price tag of nearly $20 right now. While this uncommon has skyrocketed, Nettle Sentinel has quietly sat by, barely budging. It’s a common, which may cause you to wonder just how high it could possibly rise, but I’m not too worried about that. If an uncommon from Morningtide can hit $20, a set almost undoubtedly opened more than Eventide, why can’t a common reach $5 or $10? Sentinel is just as important in both the Modern and Legacy Elves builds. At $1 apiece, I have a strong suspicion that this is still well undervalued. Full disclosure: I may buy some by the time this article goes live. In the same deck, Chord of Calling still speaks to me. It’s not going to see any dramatic movements in the near future, but it’s guaranteed to be a gainer over the next year or two. I’ve got a stack of thirty or forty and I wouldn’t hesitate to add to it if the right deal shows up. Over in the Ad Nauseam deck, I’m a big fan of Spoils of the Vault. It’s an instant-speed black tutor. Sort of. The cost is high, but in a deck that’s either invincible, has a very high life total, or is searching for a four-of, it can be just what the pilot needs. We’ve all seen what happens to rares from the Mirrodin era when the demand is on, so at a $1 buy-in, this is low risk with an extremely high reward. What’s particularly appealing is just how cheap Ad Nauseam is to build right now. The deck has basically no real value in it. There’s a few Pact of Negations, sure, but that’s about it. Several of the rares required to function were printed in the first Modern Masters run, hampering their price tags severely. Even the mana base is extremely cheap for a Modern deck. When there aren’t any expensive cards in a powerful deck, there’s typically one or two that steps up. The same thing happened with Living End, and we could see it here. I’m in for a stack. Back on the other side of the color wheel, I’m a bit surprised Scavenging Ooze is still around $5. I think we’re getting close to the end of that. This is a card less poised for a dramatic rise rather than simply gaining five percent week after week, a sign of steady public demand. This will reach $10—it’s just a matter of how long it will take. I’m dubious it’s the best place to park your money, as I think there are faster options out there, but at the very least, it’s safe. A UB Faeries deck showed up in the top 32, an archetype that’s been remarkably quiet since the unbanning of Bitterblossom. Of all things contained within, Mutavault is my favorite card. This crashed extremely hard after its run in Mono-Blue and Mono-Black last year, from $30 to $10 today. Mutavault remains possibly the strongest manland ever printed, and I have no doubt this will continue to rise in value over the coming months, same as Scavenging Ooze. If you want foils, now is the time to act. All of this discussion so far is just a review of effects without consideration of the cause. Why did the entire Modern index jump so strongly? Is it all speculator buyouts (it’s not) or is it real demand? Will prices rise through the PreTQ season? Will they drop once Battle for Zendikar rolls around? I’ll begin with an idea from my article scratchpad. I never got around to writing this particular piece, but it’s been sitting there staring at me since last summer. I can still explain my thought process here a year after writing it down. It was a few months after Grand Prix Richmond had occurred. Prior to Richmond, Modern prices were in a tizzy. 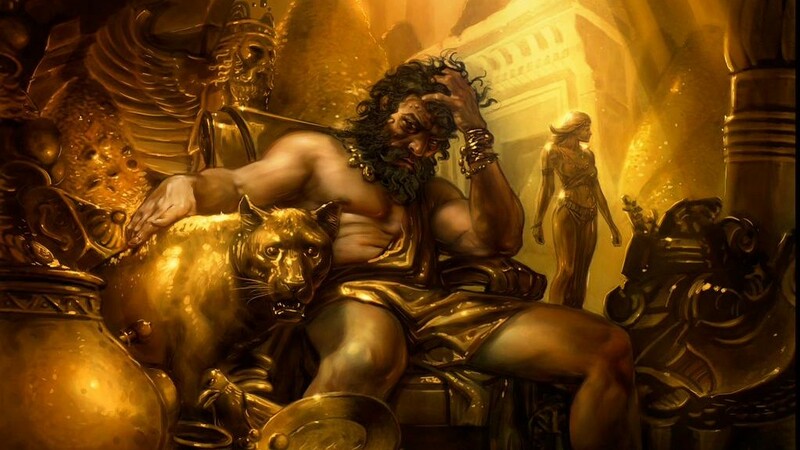 The war drums were beating and the market hordes were marching. 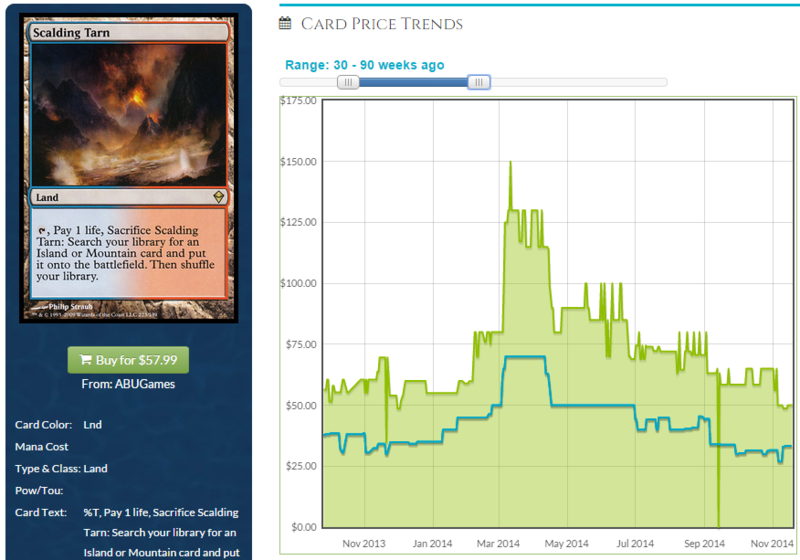 Check out some of these price spikes, all happening within a few weeks of the GP. Those are all on the same time scale, highlighting that each saw major gains at the same time. In four months, when we look back at the price graphs for Olivia, Oblivion Stone, and Deceiver Exarch, it’s going to look the same. What we’re seeing is that a major Modern GP, heavily publicized and run by a grade-A organizer ahead of a Modern season, is a huge catalyst for price changes. In other words, GP Charlotte is GP Richmond, simply one year later. Same organizer, same marketing. Last year it was a Modern PTQ season, this time it’s a Modern PreTQ season. Card trends before, during, and after Richmond should prove to be predictive of this year’s. One of the best resources available to financiers in any market, whether Magic or Wall street, is history. Those who don’t study it are Dr. Doom. Or something. Look back at that idea I had scribbled down. The first third of it is that single events—in this case, Richmond and Charlotte—drive prices wild. The second third is that seasons—PTQ or PreTQ—apply less pointed pressure. What do I mean by that? Well, just look at those price graphs. All of the spikes are occurring right around the GP. Once you get out into May, there’s basically none. If the green chart is distracting, check out the blue buylist line. That’s a great indicator of market demand, and there are no jumps after the spring. I’ve got more examples too, these more stark. Birthing Pod was the deck to beat last year. There isn’t much contest to this claim: after a summer of dominance it was banned this past January. 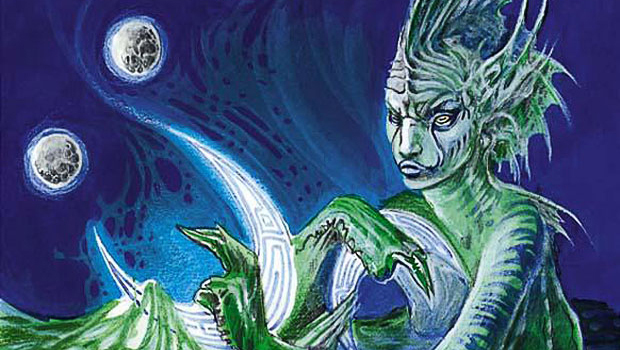 The card Birthing Pod, the entire engine of a to-be-banned Modern deck, the best deck in the format, couldn’t hold a price tag north of $10 through the PTQ season. And Scalding Tarn, after rocketing north of $100 ahead of the GP, continued to dwindle in price. Today it is $60, half of its former glory. Birthing Pod and Scalding Tarn were two major, major staples in Modern at the time. 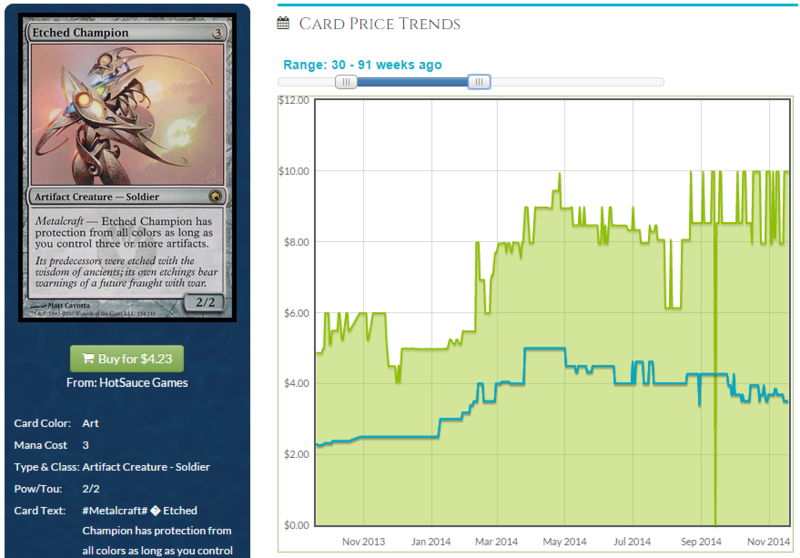 The Grand Prix drove their numbers up, but the PTQ season was unable to sustain those new prices. They both subsequently sunk in price over the following months. The other cards I highlighted—Cryptic Command, Splinter Twin, etc.—did not suffer so dire a fate through the summer, though their prices were also moved by a single event rather than a PTQ season. The point I’m making right now is that while conventional wisdom seems to be that competitive seasons cause price movement, our evidence from last year doesn’t support that, and neither does the evidence this year. Last year, it seems that all of the spikes happened ahead of a GP, and then either remained stagnant or even fell after the fact. This year, we’ve seen a truckload of price spikes, probably more than last year. What’s our takeaway, then? Well, if history is any indication, it’s that we’re sitting at the top of the market right now. Modern staples will generally remain stagnant or even decrease in the next four months. You may find this at odds with my article from last week, the tl;dr of which was that MM2 prices have probably already hit their floor and are beginning to rebound. This claim regarding MM2 does not clash with this week’s lesson. We’re essentially looking at two different halves of the market. Last week’s half of the market is all the brand new cards that were hit by reprints. Those are basically unable to spike, burdened as they are with supply. That’s the bottom of the Modern market. Prices have gotten as low as they can, and now they’ll begin slowly growing, and will continue to do so for months and months. The other half of the market is made up of the cards not reprinted. The Eternal Witnesses and the Goryo’s Vengeances. These were the cards ready and willing to be bought out. Now that that’s happened, they will remain mostly stagnant, with only minor fluctuations in price between now and September. We should seek practical application of this information. Given the trajectory of so many of last year’s hot Modern cards, I don’t believe we’ll see many more price spikes this year. I’d say a good 80 percent or more of them have occurred already. We may see a few here and there, possibly in part due to Origins ramifications, but for the most part, if a card was going to see a dramatic rise in price this year, it has already happened. Furthermore, don’t expect prices on cards that have changed to change much more. Goryo’s Vengeance isn’t going to end up much further than where it is today. Nor will Olivia or Oblivion Stone or Blackcleave Cliffs. If you’ve got any of these cards that have spiked, don’t feel bad about selling them. I’ve got several sets of Raging Ravine I’ll be listing shortly. While I believe they could potentially hit $20—look at Celestial Colonnade and Creeping Tar Pit—it could be months before that happens, and if the metagame swings back towards Abzan from Jund, it may not be before a reprint. I’m happy to take my profits and move on to greener pastures. Same for any of these cards that have spiked, and really, any Modern product at all that has seen generous increases recently. Is it possible there’s still considerable growth possible on any given card? Sure, but how likely is it, how long will it take, and how valuable is the money to you right now? Where I stand most starkly in contrast to the rest of the entire analytic field is Snapcaster Mage. Every person on Twitter is talking about how safe he is, how high his price could possibly rise, and just how far out of the park they’re going to hit this home run. While I don’t necessarily disagree with any of this, I am more bearish than my contemporaries. Those price charts on Birthing Pod and Scalding Tarn scare me. Scalding Tarn especially, because I was there. I had ten or fifteen Tarns that I didn’t sell because I was hoping to eke a few extra dollars out of them over the summer. 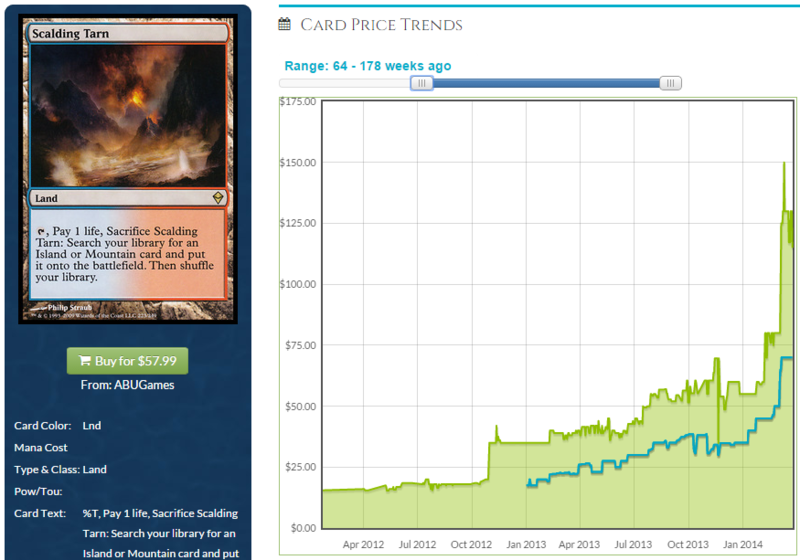 Rather than increase through the PTQ season, they dropped, and I ultimately sold most at around $60. Considering I could have been getting $100, and I had at least ten, that’s a solid $400 in lost profit that serves as a vivid reminder not to get greedy. When I look at Snapcaster, I see red flags. Take a look at Snapcaster’s price chart. And now, here’s Scalding Tarn’s chart, stopping just two weeks after Richmond last year. Those are damn similar graphs. 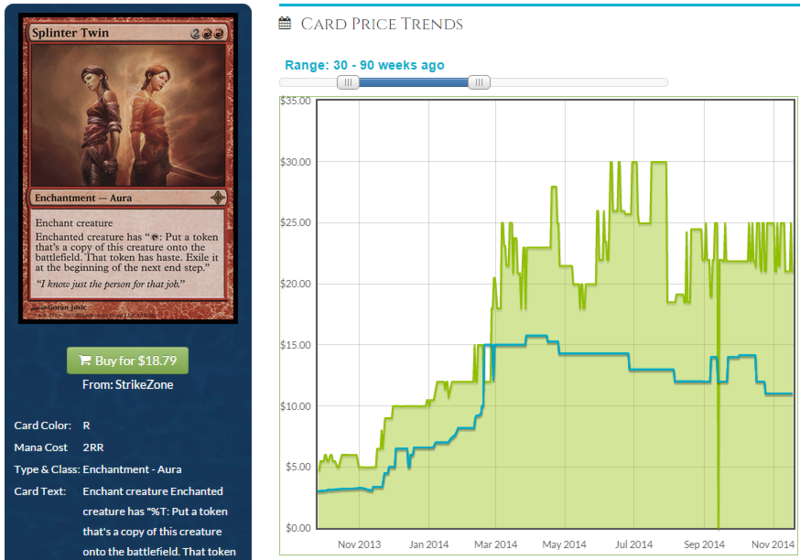 Of course, all graphs of cards rising in price are going to be fairly similar: the line gets higher as you go right. Still, I can’t shake the feeling that Snapcaster may retract in the coming weeks or months. Plenty of people are going to tell me I’m crazy, and that there’s no reason for Snap to drop. He’s played in a bunch of formats, there’s been steady price growth, there are no immediate avenues for reprints. None of this is incorrect. Of course, the same could all have been said about Scalding Tarn last April, and look where that ended up. I haven’t decided what I’m going to do with my own Snaps yet. I’m looking to have some of my peers read this article and then have a conversation. Do we sell Snap now, at $75, and walk away happy? Do we hold out for $100 or more this year? It’s very easy to say that his price isn’t done growing and that there’s more profits on the horizon. That’s what everyone wants to hear. It’s a lot harder to say that this spike is not permanent and that if you don’t sell now you’re going to lose $20 on each copy. How about you? Are you selling your Modern spec stock? Holding? There’s a comment section below—use it. Great article this week! I’m glad to see someone provide this perspective on Snapcaster. I’m mentioned that I was selling off some of my snaps in the forums and didn’t get one person to agree that this was a good idea. My opinion is that Snapcaster is a relatively safe place to have your money right now but how much further does it really have to go? I remember the same scalding tarn scenario from last year and feel that’s once Origins drops, people will move on to thinking about standard. 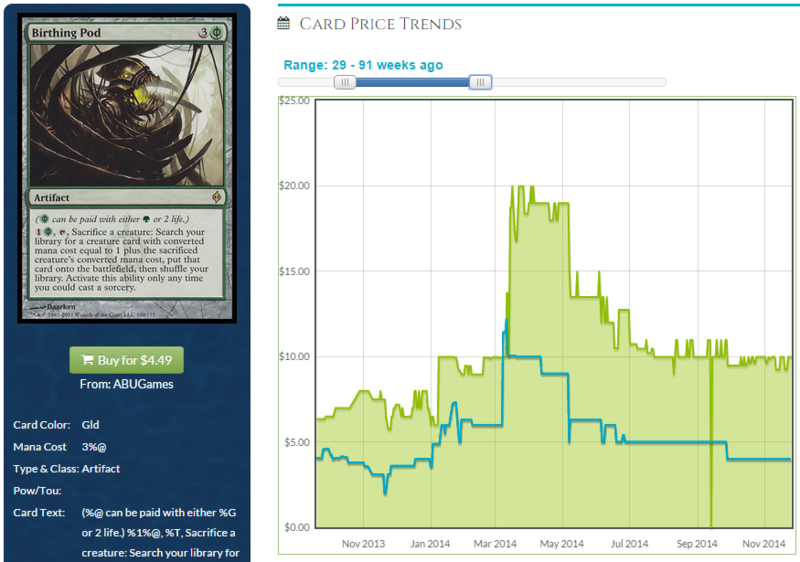 I’m not looking to eek out another 20-30% when the risk of reprint goes up with every new set. It’s time to take the triple up and move on. One way to look at it is whether you would rather have 1 Snapcaster or 6-7 abrupt decay moving forward. One last thought….I think this will be an interesting case study on whether WOTC can make an “emergency reprint” happen without ruining standard or causing a supplemental product to be outrageously priced. We know they have their next X sets already in the pipeline and my guess is Snapcaster is not part of that plan currently. It will be interesting if WOTC makes an effort to remedy $100 rares outside of the planned process or not. Spot on this week. Nicely done. I remember vividly when Modern staples all spiked Spring 2014 and everyone thought prices would go higher throughout the Modern “season”. They didn’t. In fact that early season spike was the peak, as you’ve sagely captured. I suspect we’ll see a repeat trend this year, which is definitely compelling support for selling out of some Modern stock. Look forward to seeing some pullbacks so we can reload and do it all again! I guess my personal takeaway if I’m speculating is always speculate on periods of time when demand is extremely high and things are hot. This was like a perfect storm! Some very good targets were called, bought and sold! The takeaway for people building decks… Come on… You know speculators exist and aren’t going anywhere. Never-Ever-Ever Buy when speculators are trying to Sell… People who hate speculating for profit can play the spec-game the opposite way. Try and pick-up your cards BEFORE the perfect storm hits! Or just be patient and wait for the storm to pass. I agree 100%. This is the height. Sell out of modern now and get into Khans block standard cards that will increase in value come rotation. I finally pulled the trigger and dumped my extra Snapcasters @ $75 each. I think there is still potential growth for them the next couple of months, however I’m not going to try and wait and try and squeeze an extra $10 out of them if the market floods with others dumping them off.